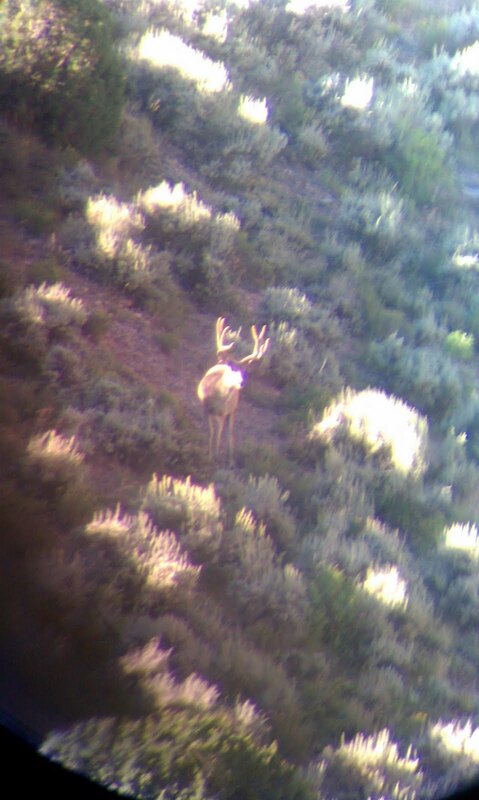 Well, I got back from Utah just in time to head right up into the mountains and chase some elk around for opening weekend here in CO. My hunting partners missed a few nice 5x5's, and we had several other close calls. A great weekend in the mountains! 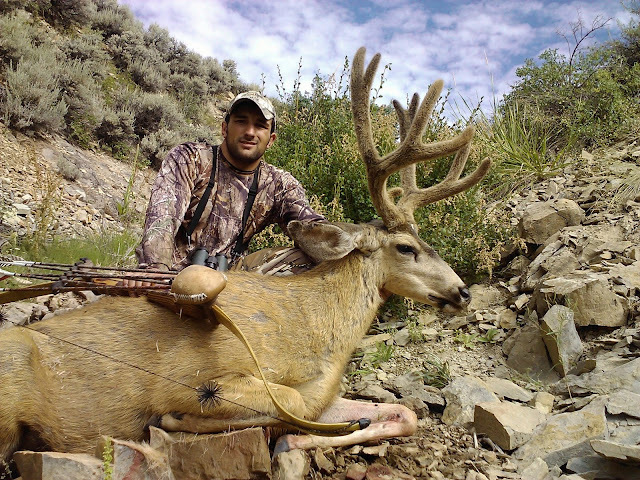 I was fortunate enough to take a great muley buck in UT. 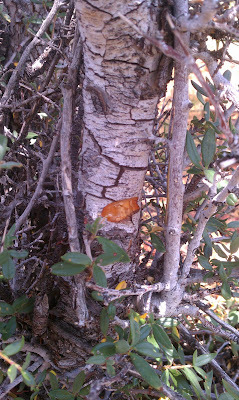 Here are a few pictures from my hunt, and a little on the story. Hope you enjoy looking through them as much as I enjoyed taking them! 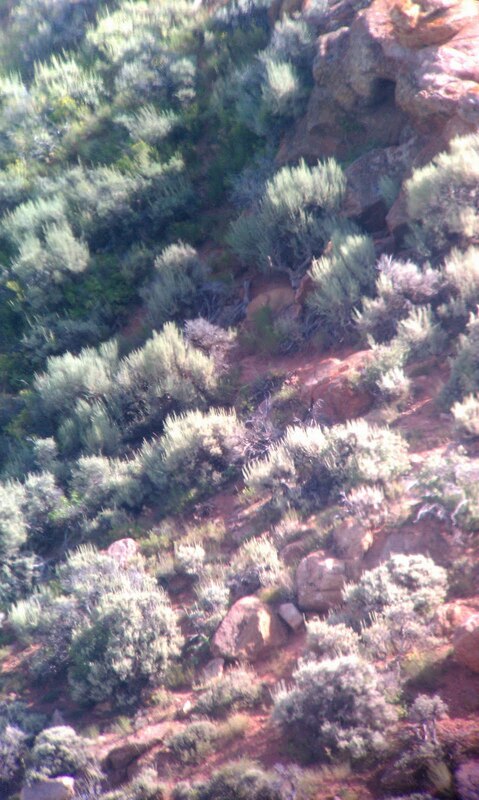 A view of the beautiful muley country I was hunting.. 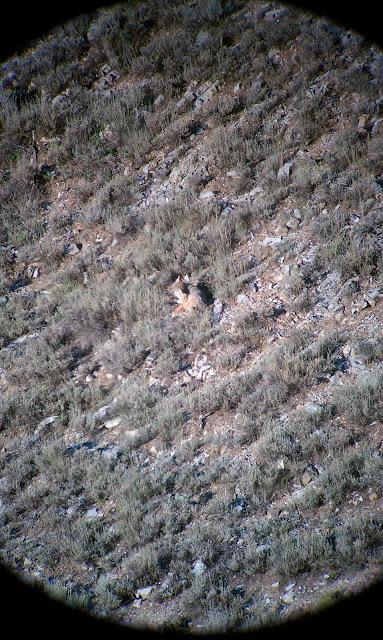 It took a few days to get the deer dialed in, but once we figured out where to look for the bucks we were seeing 12-15 every morning and evening. 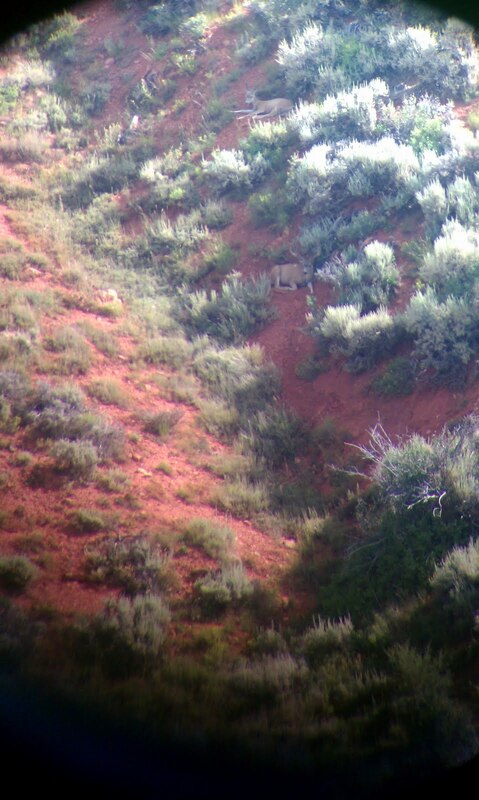 Here is a view of a hillside that a group of bucks were regularly bedding on. The next few pictures will zoom in on this picture. This beautiful little trout stream ran through the bottom of the valley. I should have brought my fly rod. Guess I am going to have to go back! 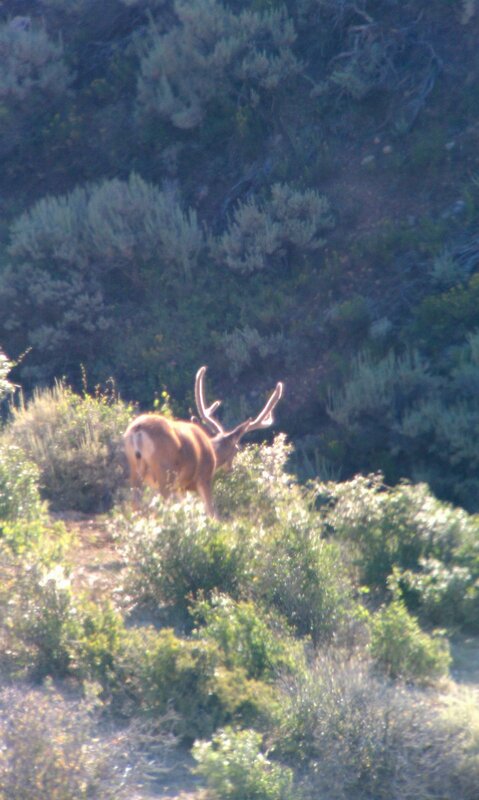 This draw was a honey hole for big bucks. 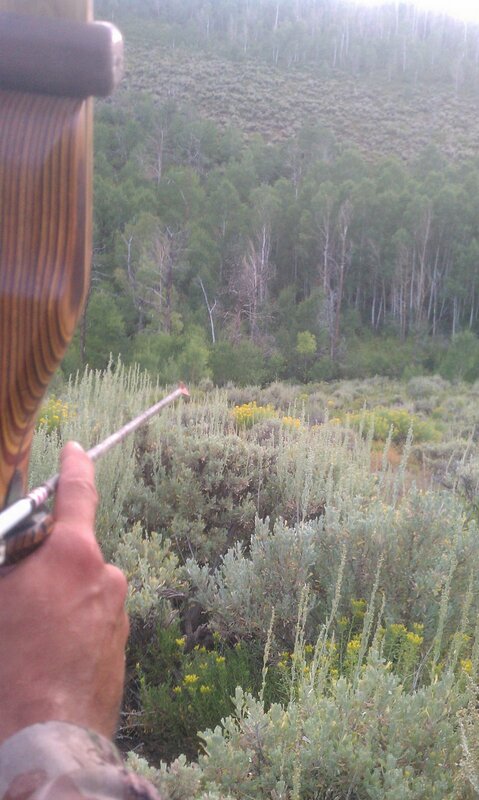 Here is where I ended up after my first stalk. 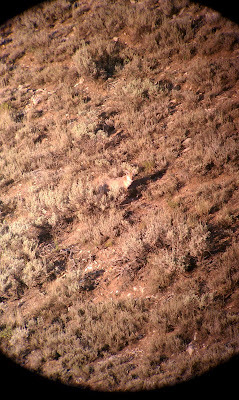 I was just 17 yards from a great buck with no more cover to get closer. If you look closely you can see the top of the bucks rack on the right side of the tree, below my broadhead. I sat right where I was in this picture for two and a half hours waiting for the deer to get out of his bed and give me a shot. 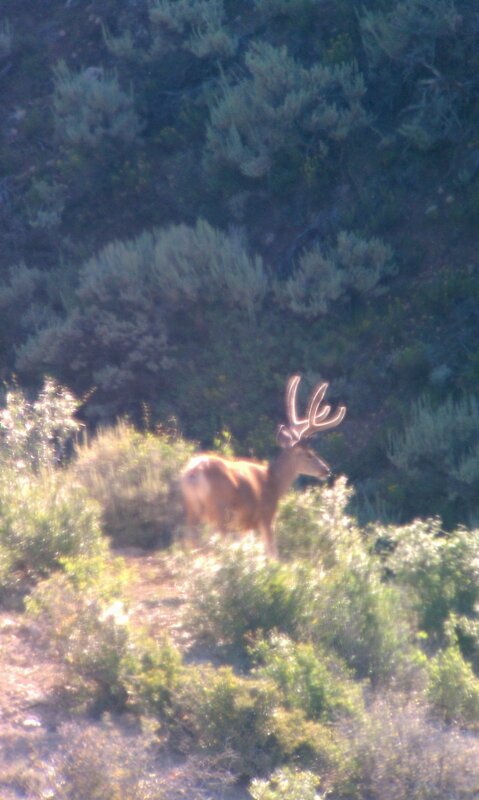 He stood up once after an hour and I got almost to full draw before he took a step and covered his vitals with that Mahogany tree, then he bedded right back down. 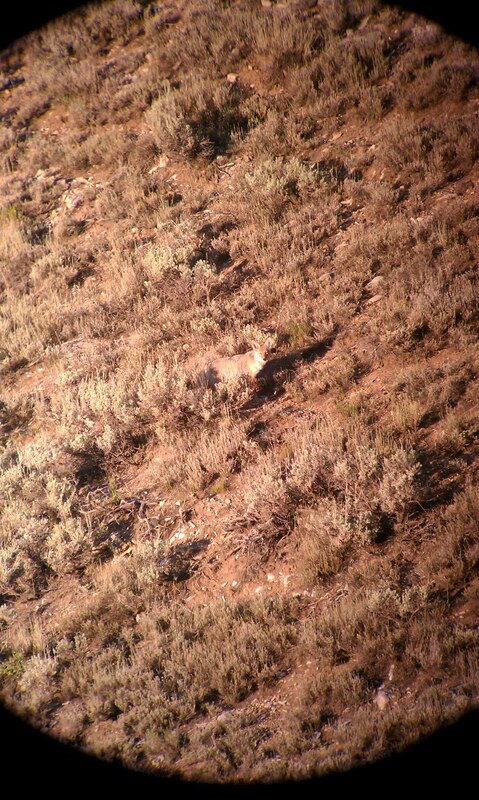 Eventually the wind shifted, and allowed me to painstakingly and slowly ease my way down the hill about ten yards. I had to put my arrow right next to the trunk of the tree to get into the buck's vitals. As you can see, I got a little too close to the tree - haha! 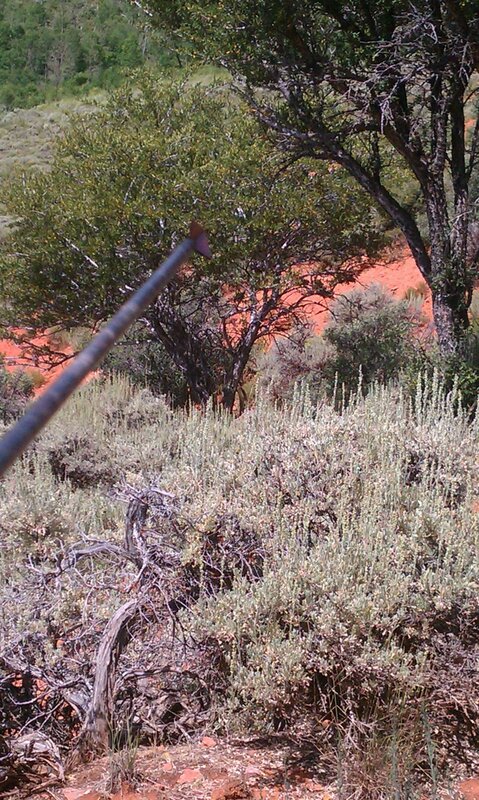 My arrow hit that tree and deflected up and to the left, over the deer's back. 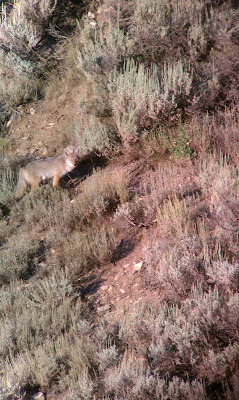 He lit out of his bed unscathed, stopping only once at 75 yards to look back and see what the heck almost got him! 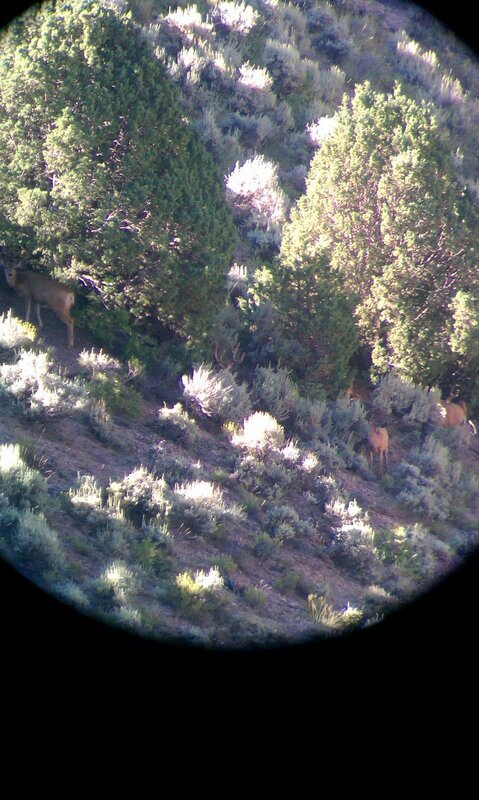 Here are some of the bucks we were seeing every day. I took these pictures with my cell phone through a friend's Swarovski spotting scope. This is the end of the stalk on the deer that I killed. 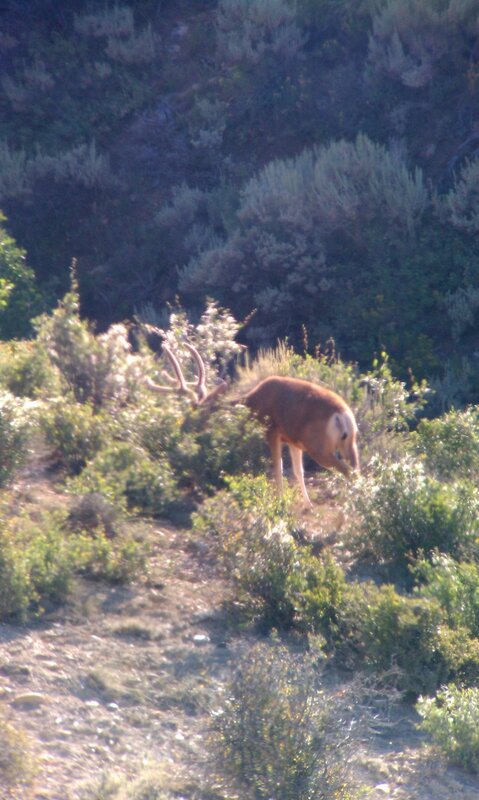 He was feeding his way up through this sage draw, and I was able to cut him off. He had to clear one more bush, to give me a shot, and guess what, he layed down behind that bush! I sat him out for an hour, but with the fading evening light I had to do something to stand him up for a shot. I tried whistling, grunting, and every other noise I could think of. He would look around, but not stand up. 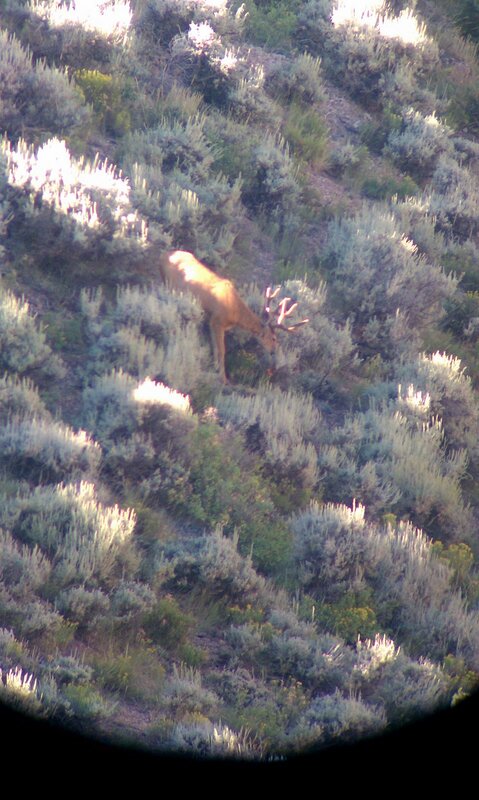 I finally chucked a rock down the draw, and immediately upon it hitting the ground he stood up and looked down. I was already at full draw when he got to his feet, shortly after my arrow was on it's way. The end of a great hunt! 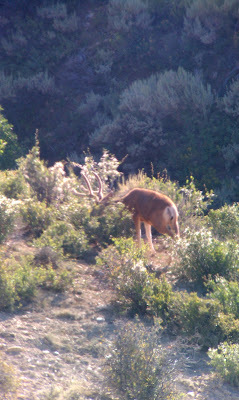 I was hooked on Mule Deer hunting after my trip to Utah last year, I am even more hooked now!